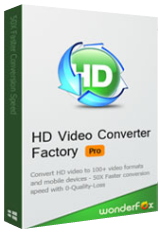 Format Package is an easy-to-use video/audio converting tool. Format Package Pro 3.0 was available as a giveaway on May 18, 2016! 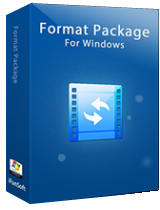 Format Package is an easy-to-use video/audio converting tool that supports various input and output formats like AVI, FLV, WMV, MOV, MP4, VOB, MP3, AAC, ASF, TP, TS, OGG, 3GP, 3G2, FLAC, etc. It also supports conversion of 90% DVDs on the market, and can download and convert videos from the most popular video sites like Dailymotion, Vimeo etc. With various kinds of embedded profiles, it helps users to save videos in formats compatible with Andriod, iOS etc. or portable devices easily. Please note: the program includes a 6 months license. How would you improve Format Package Pro 3.0? Good program. Works well. One main suggestion, the ability to disable the popup that asks if you want to open the output folder. An inboard "finished" instead is better when dl'dn. This way the popup doesnt get in the way when the program is open over time, dl'dn files over that time. Second suggestion, a way to restart partiallly downloaded files. Currently a temp file that cant be completed if left on the harddrive. You have to fo gack to th eoriginating url to redownload the entire file again. Wastes time when the temp file is 5gig and the completed file is 6gig. Third suggestion, include a setting to process only the audio of a video file with one click. This way an mp3 can be made of a video easier instead of going through settings and choosing mp3 only. Video download and conversion worked in Windows 10 64 bit. Add "drag and drop" so user can drag a file or a video link from Youtube etc. Add option for preferred video quality when downloading. E.g. each Youtube video has several different qualities to choose between. Add option to convert to MP3 64 Kbit as this quality is good enough for speech. Video download and conversion worked in Windows 10 64 bit. Suggestions for improvement: Add "drag and drop" so user can drag a file or a video link from Youtube etc. Add option for preferred video quality when downloading. E.g. each Youtube video has several different qualities to choose between. Add option to convert to MP3 64 Kbit as this quality is good enough for speech. I could be wrong but I think aTube Catcher does all that this does and more for free e.g. also creates DVD, VCD and blueray discs and an audio recorder, video resizer and so on, Just be alert during installation as it used to use opencandy sponsor in the installer so you need to be prepared to decline other offered software and not blindly click accept and next without thinking! Installed OK on W10 64 bit. Enough presets and options to suit most people. No GPU accelerated support that I can see of but does support multi CPU core. Conversion times are pretty good but come into their own when converting to HEVC, where surprisingly, the ratio of conversion is between 2x and 2.7x real time on my Sandybridge Core i7, which, for HEVC is the fastest that I have seen from any product, even though it is still slow compared to H264. When you have added a file and selected your options it tells you the expected converted file size, which is a nice touch. The only conversion issue that I had was when adding a 720p MP4 file that it refused to convert, showing an error about missing filters, for which there was no explanation on the web site. Other 720p MP4 files converted OK, so I don't know what the issue is. Also note that it does not upscale at all, so whatever settings you choose for this instance, it will keep resolution the same as the original. In terms of downloading videos from popular sites (listed on their web site) it did the job as good as any other product that I have used. Not a bad product at all but should have Nvidia, AMD and Intel Quicksync support added to make it better. Probably should not have the Pro moniker attached as for this to be worthwhile I would expect more settings and features. Installed OK on W10 64 bit. Enough presets and options to suit most people. No GPU accelerated support that I can see of but does support multi CPU core. Conversion times are pretty good but come into their own when converting to HEVC, where surprisingly, the ratio of conversion is between 2x and 2.7x real time on my Sandybridge Core i7, which, for HEVC is the fastest that I have seen from any product, even though it is still slow compared to H264. When you have added a file and selected your options it tells you the expected converted file size, which is a nice touch. The only conversion issue that I had was when adding a 720p MP4 file that it refused to convert, showing an error about missing filters, for which there was no explanation on the web site. Other 720p MP4 files converted OK, so I don't know what the issue is. Also note that it does not upscale at all, so whatever settings you choose for this instance, it will keep resolution the same as the original. In terms of downloading videos from popular sites (listed on their web site) it did the job as good as any other product that I have used. Not a bad product at all but should have Nvidia, AMD and Intel Quicksync support added to make it better. Probably should not have the Pro moniker attached as for this to be worthwhile I would expect more settings and features. This site is allowing too many vendors posting their "shareware" or "limitware" here, remember that some software will eventually suffer distortions after different types of uses and under many kinds of environments and that will not be known after awhile, therefore 6 months may not be enough to fully test software under a vast array of operating systems, added data, usage amount, compatibility with other software, etc. Installed ok on windows 10. Will it stop working completely after 6 months? It only does conversions, nothing else. No cliping; rotation or brightness edits so I have added it to the numerous others I have in case at some point I encounter a video that won't convert in any of the others. Installed ok on windows 10. Will it stop working completely after 6 months? It only does conversions, nothing else. No cliping; rotation or brightness edits so I have added it to the numerous others I have in case at some point I encounter a video that won't convert in any of the others.